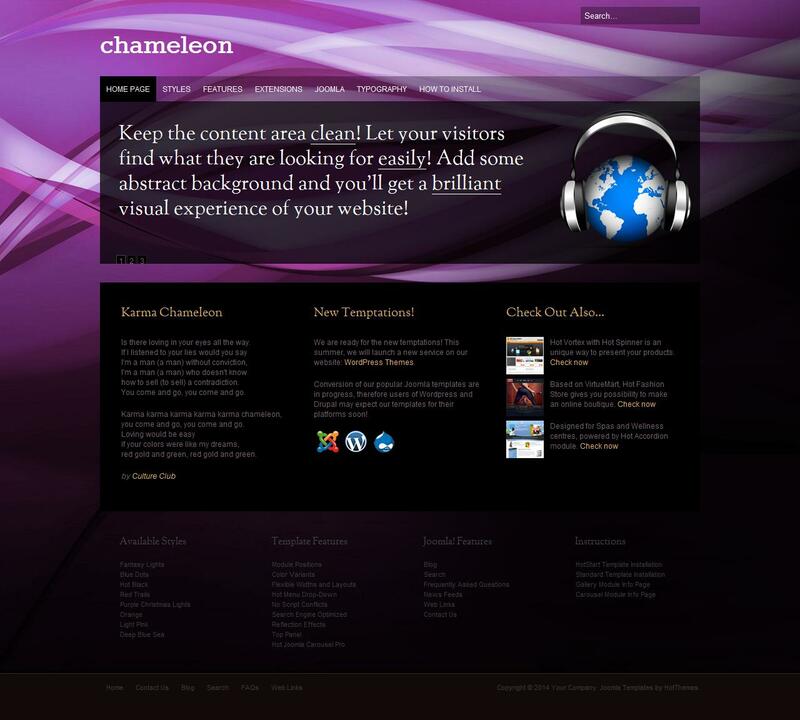 Hot Chameleon - bright template from the design studio HotJoomla, having a flexible design tool of choice. The template shows the finished design choice of 8 color variations with different background images. In addition, you can easily change any color by setting the template parameters in the admin panel. This template supports the display on mobile devices based on iOS and Android as well as excellent works with browsers that support CSS3 and HTML5. Flexible and modular layout makes it easy to plan the location of units on the site.